The 64gt fishing vessel N-28 Mooie Meid capsized off the coast of Dunkirk, France. A distress beacon was received and rescue vessels from France and Belgium combined to search for the vessel. 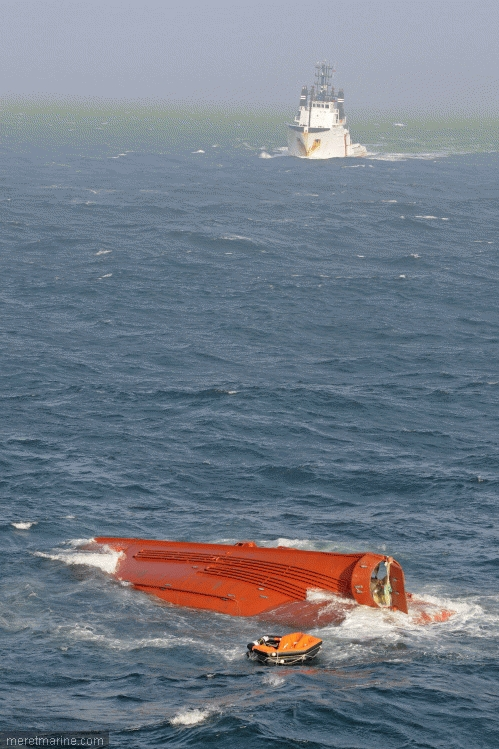 The overturn Mooie Meid was located with a lifeboat attached, but was unused. Divers investigated and found no signs of any of the 3 crewmen. The vessel was being towed to a more sheltered area, but the vessel is at risk of sinking at any moment.